Porsche is expanding its range of hybrid models with the introduction of the new Cayenne E-Hybrid, which combines the best driving dynamics in its class with maximum efficiency. A three-litre V6 engine (340 hp/250 kW) combines with an electric engine (136 hp/100 kW) to generate system power of 462 hp (340 kW). The maximum torque of 700 Nm is already available just above idling speed; with a boost strategy adopted from the 918 Spyder supercar. The model accelerates from zero to 100 kilometres per hour in 5.0 seconds and has a maximum speed of 253 kilometres per hour. 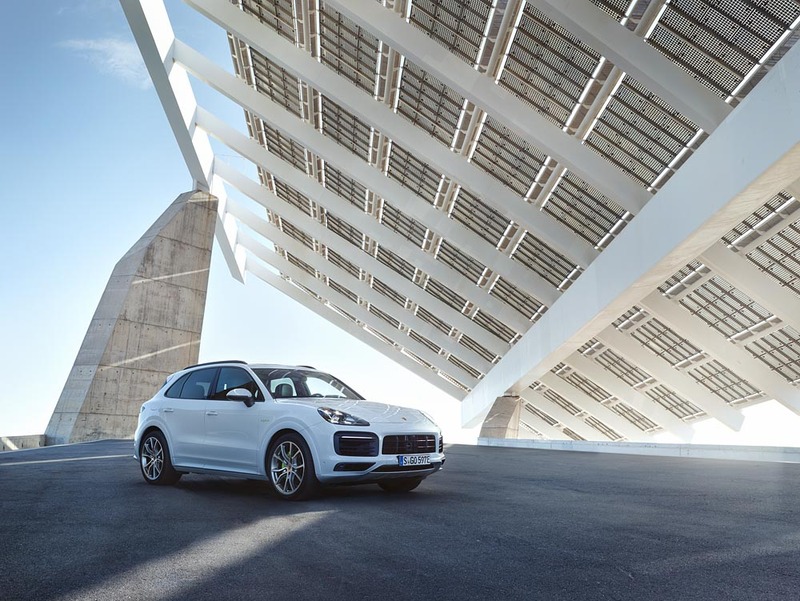 The new Cayenne E-Hybrid can drive up to a distance of 44 kilometres and a speed of 135 kilometres per hour on electricity alone. The average consumption in the New European Drive Cycle (NEDC), depending on the set of tyres used, is 3.4 – 3.2 l/100 km of fuel and 20.9 – 20.6 kWh/100 km of electricity. 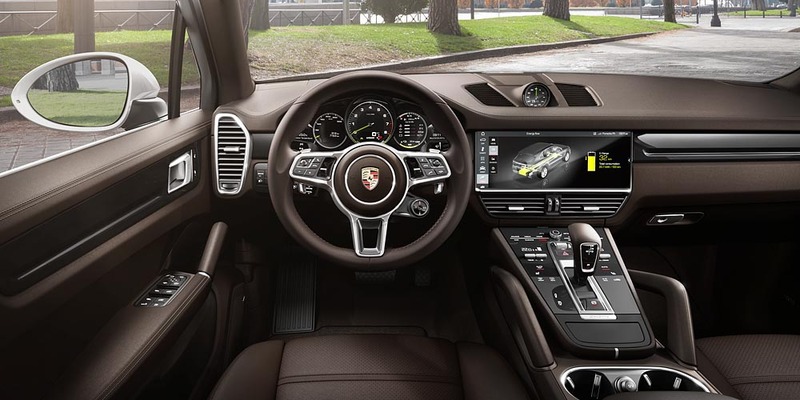 Alongside the launch of the Cayenne E-Hybrid, Porsche is expanding its range of comfort and assistance systems for the entire Cayenne series with additional options such as the new head-up display, massage seats and 22-inch light metal wheels. 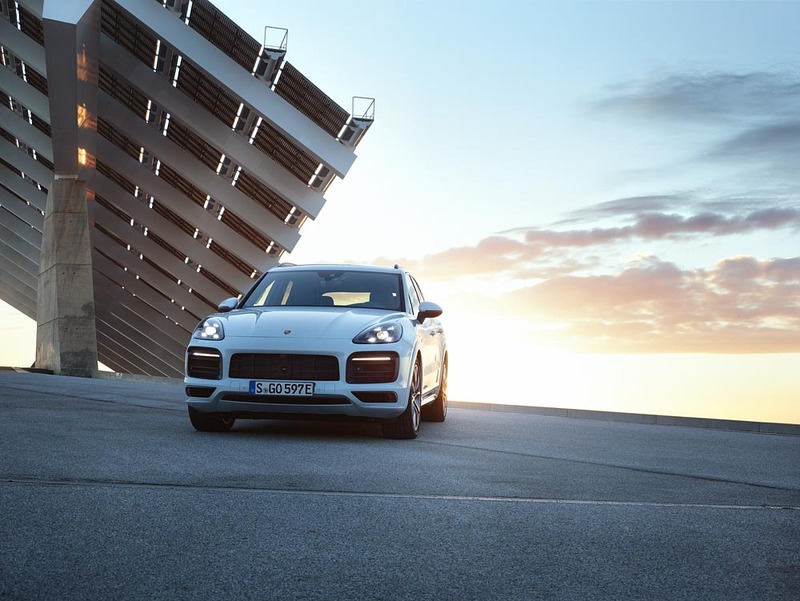 The next stage in Porsche’s journey towards e-mobility is the Cayenne E-Hybrid. While the performance of the combustion engine moderately improves on its predecessor by 7 hp (5 kW) to 340 hp (250 kW), the performance of the electric engine is now over 43 per cent higher at 136 hp (100 kW), therefore generating a combined 462 hp (340 kW) output. The boost strategy derived from the 918 Spyder supercar is a new addition. It ensures that the electric engine can be used in all the standard Sport Chrono Package driving modes for an additional performance boost. This means the maximum system torque becomes available as soon as you press the accelerator pedal. Depending on the driving situation and performance requirements, drivers can continue to draw on the boost torque across the entire range of speeds. This leads to a more agile and superior driving experience. The extent of the boost support and battery charging during the journey depend on the driving mode. In the performance-focused Sport and Sport Plus modes, virtually all of the battery’s energy can be used for a boost. In Sport mode, the battery is charged just as much as is required for a new boost. In Sport Plus mode, the battery is recharged as quickly as possible. The other modes support maximum driving efficiency. Battery capacity has improved significantly in the Cayenne E-Hybrid, along with the distance on electricity and the boost reserves: in comparison to the previous model, capacity increased from 10.8 to 14.1 kWh – an increase of up to 30 per cent. The fluid-cooled battery, stored beneath the loading floor in the rear of the car, consists of eight cell modules with 13 prismatic lithium ion cells each. Within 7.8 hours, the high-voltage battery is charged fully via a 230-volt connection with ten amps. If the optional 7.2-kilowatt on-board charger and a 230-volt connection with 32 amps are used as an alternative to the standard 3.6-kilowatt charger, the battery is ‘filled up’ again after only 2.3 hours. With Porsche Traction Management (PTM), the Cayenne E-Hybrid has an active hang-on all-wheel drive with an electronically regulated, map-controlled multiplate clutch. With its broad range of torque distribution, the system offers clear benefits in terms of driving dynamics, agility, traction control and off-road capabilities. 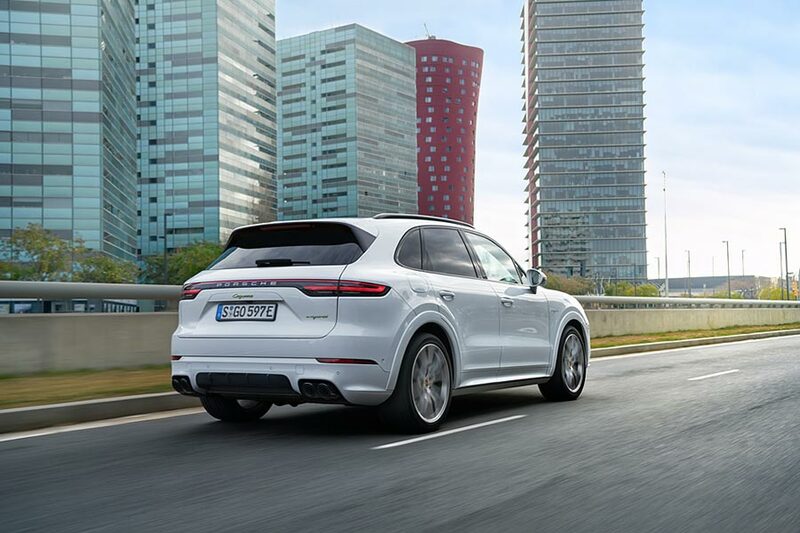 Thanks to the brand new chassis, Cayenne E-Hybrid offers the same sports car driving dynamics as all models of the new Cayenne generation. Porsche Active Suspension Management (PASM) is available as standard. Optional features include the electric Porsche Dynamic Chassis Control (PDCC) roll stabilisation system and a trailer connection for loads of up to 3.5 tonnes. 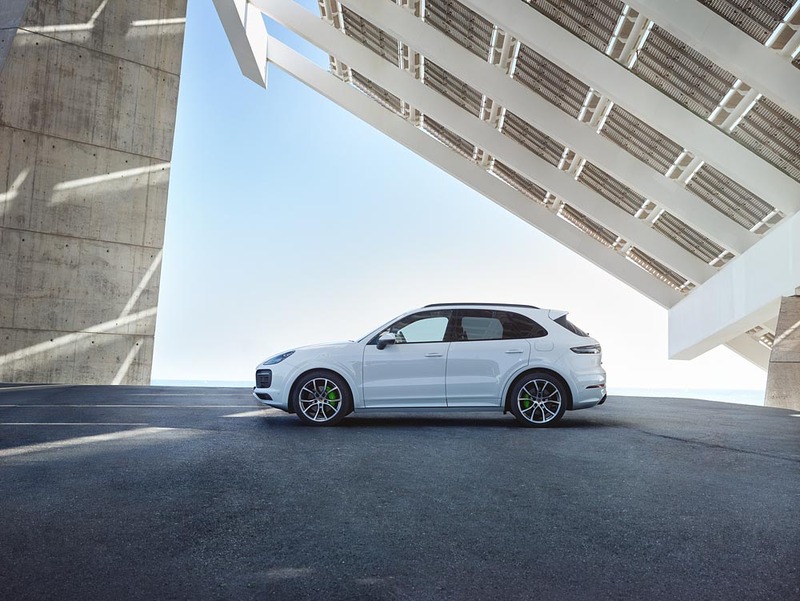 With the launch of the Cayenne E-Hybrid, Porsche is expanding its range of assistance systems and optional features for the entire series with a variety of innovations. For the first time, head-up display is available in a Porsche. It projects all the relevant driving information directly into the driver’s line of vision. Other new features now available in the Cayenne include massage seats, a heated windscreen and 22-inch light metal wheels. The new Cayenne E-Hybrid will launched in India at the end of September 2018. Pricing and market specifications for India are soon to be announced.